We proudly present: THE KRONE EXPERIMENT. A full-length DVD feature based on the science fiction thriller by author J. Craig Wheeler. Starring Tom Weirich, Darbi Worley, and Benjamin Pascoe. Directed by J. Robinson Wheeler. 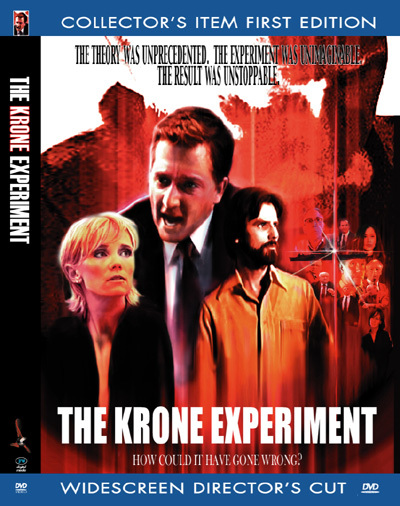 The Krone Experiment (2005). Published by JRW Digital Media. Post-production services, audio mixing, visual effects, foley, and titles design by JRW Digital Media. DVD design and authoring by JRW Digital Media.